As a service provider, small business owner, or soloprenuer your marketing job is to craft a narrative that draws your reader in and keeps him/ her interested. Do it right, and they’ll share your content with their friends, colleagues and audience, greatly expanding your reach. Do it poorly, and they might read your post or your email, they might even buy from you; but they won’t remember you, because you won’t have made a connection. Email, especially email autoresponders, offer you a great way to tell your story. Few businesses use this tool to tell their stories and build a connection with their customers. When you take the time to craft the right autoresponder email marketing campaign, you can ensure more of your customers learn your story and your why of doing business. Think of the sequencing to introduce yourself and your business to your potential customer and or potential referral partner. Schedule it to go out over the next few days and then invite them to connect again to learn their story. One of the best ways to build a relationship and grow your audience is to share your personal stories. Tell your customer or audience how you got started, what lessons you learned along the way, and how your life and business were improved because of them. Personal anecdotes don’t even have to be business related to have an impact. Did you notice a fantastic marketing strategy while standing in line at the supermarket reading the magazine headlines? Share the story. Did you learn how to treat customers better by dealing with your cell phone company? Tell. Your. Story. 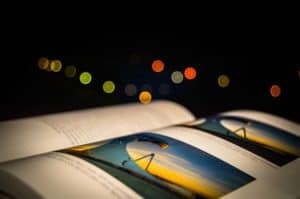 By making a connection between completely unrelated topics, you can quickly craft content or an email that will get readers thinking, and that they’ll remember for a long time to come.